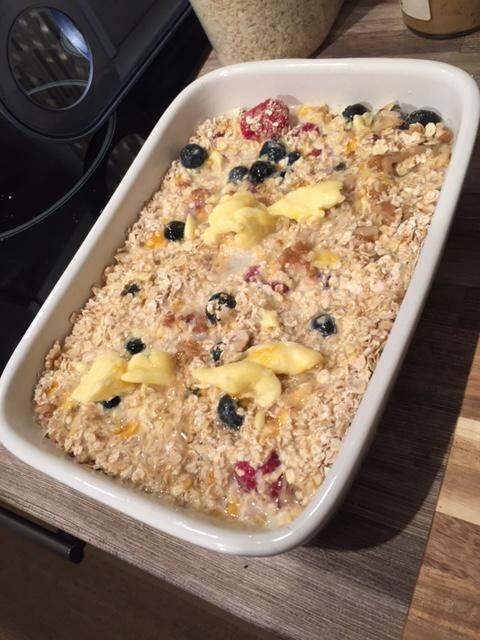 I had all of the ingredients anyway, so tonight I made 6 portions. 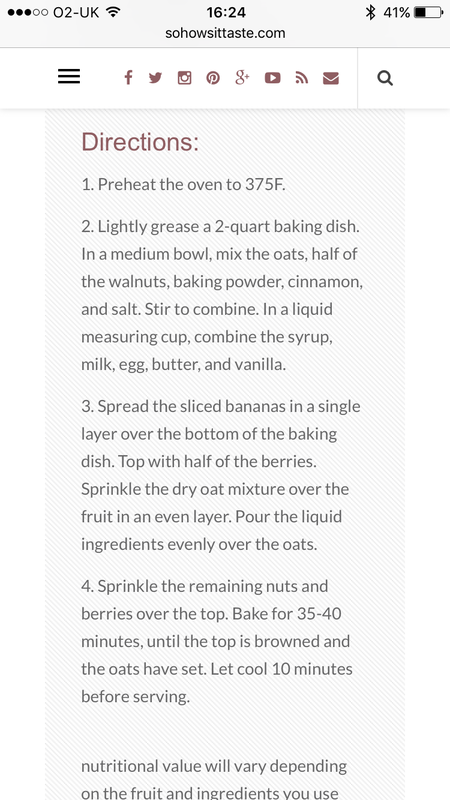 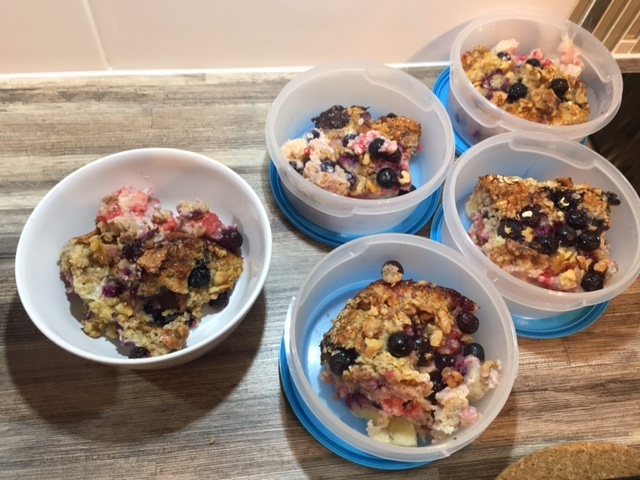 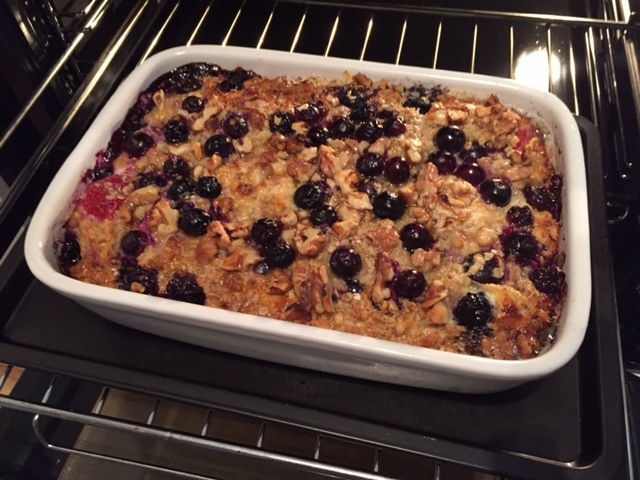 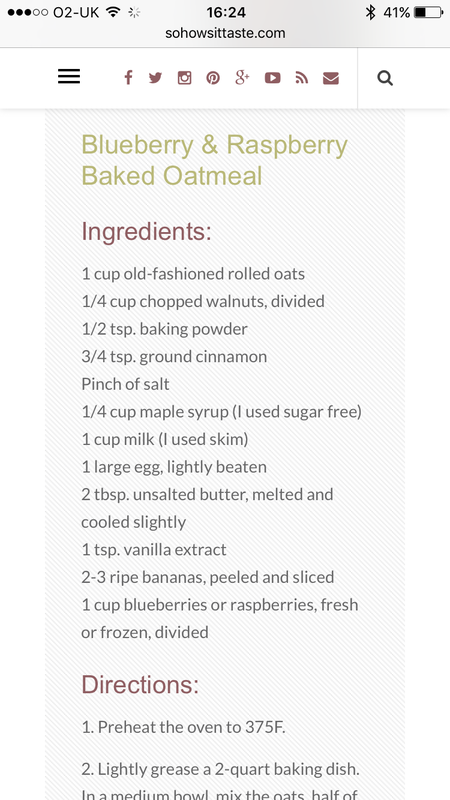 A layer of chopped bananas and raspberries and sons blueberries, then the oats, walnuts, cinnamon and baking powder. 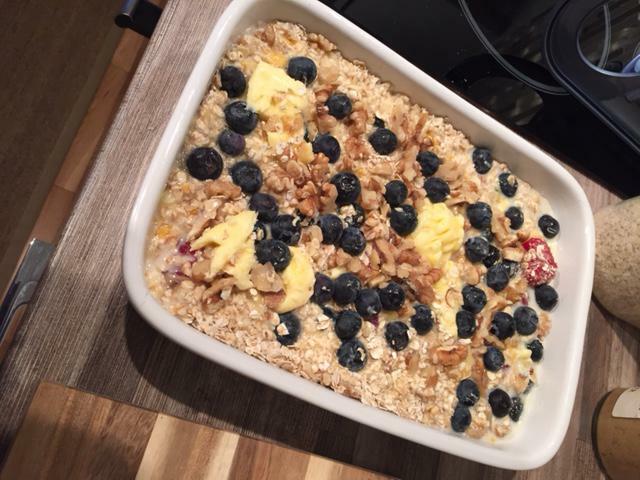 And then the milk, eggs, honey and butter mixture, topped off with some more blueberries. 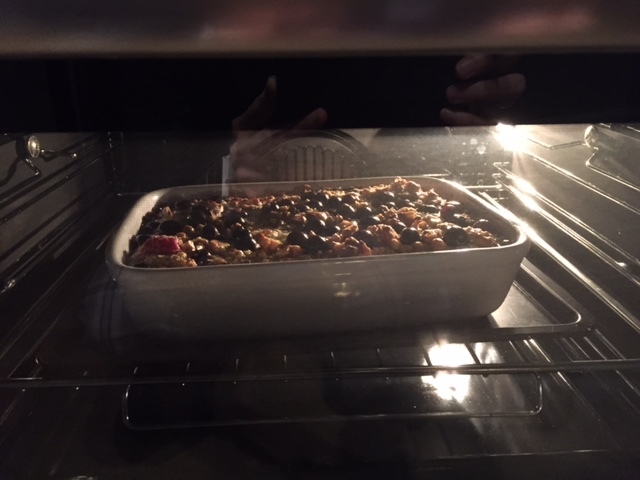 35 minutes in a 180′ oven.